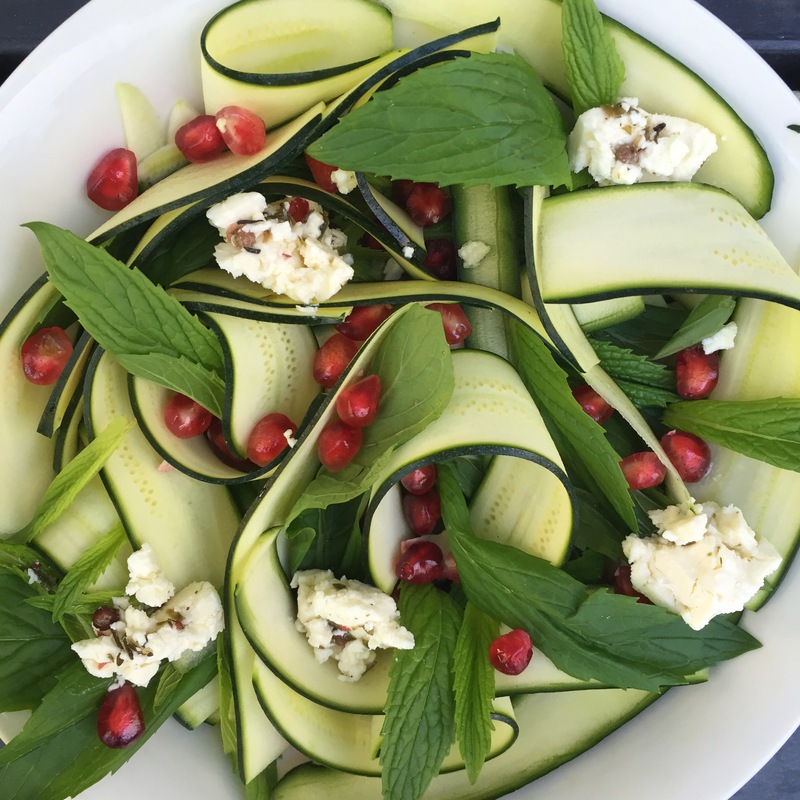 This salad is deliciously fresh & has a great balance of flavours with fresh zucchini & mint, sweet pomegranate & of course, salty feta. 1 zucchini, use a vegetable peeler to slowly slice lengthways. Throw all ingredients into a bowl, eat immediately! This entry was posted in Recipe and tagged glutenfree, pomegranate, salad, vegetarian, zucchini by 6 Clean Ingredients. Bookmark the permalink. That looks wonderful, I love the pop of colour from the pomegranate seeds!